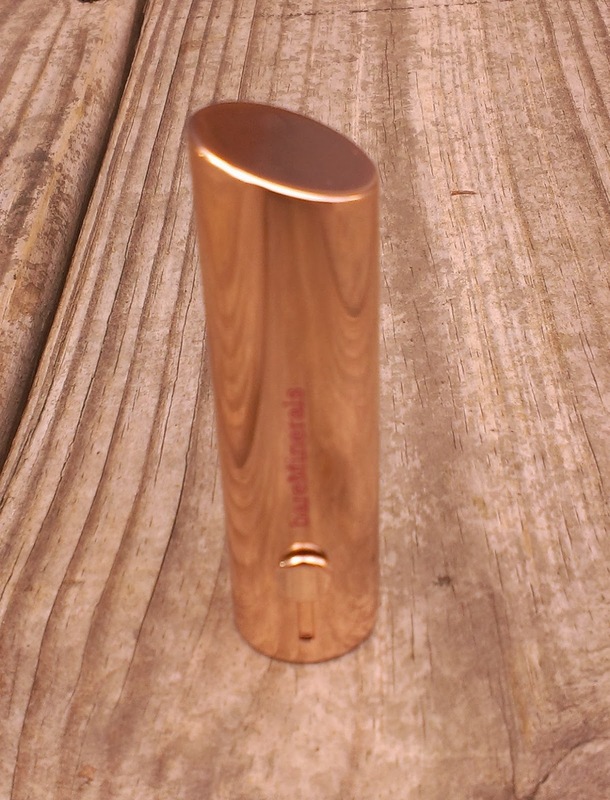 All of the packaging for the collection features a pretty rose gold metallic finish, which definitely feels very spring-like to me. It does show fingerprints pretty easily, but they're easy enough to wipe off. 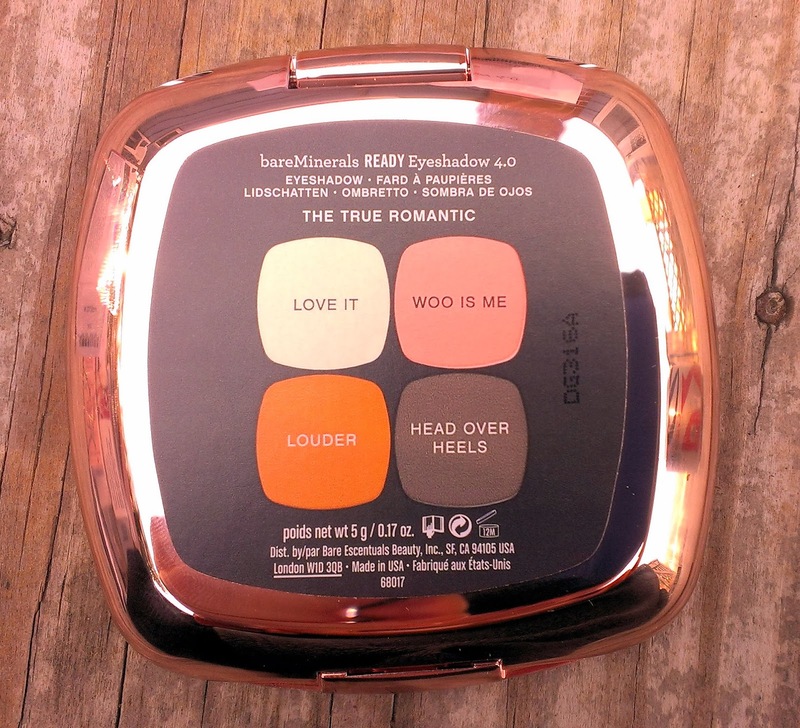 The True Romantic Ready Eyeshadow 4.0 contains Love It, a shimmery pale mint with silver micro-glitter; Woo Is Me, a shimmery pinky-peach; Louder, a metallic copper shade; and Head Over Heels, a matte gray-brown. 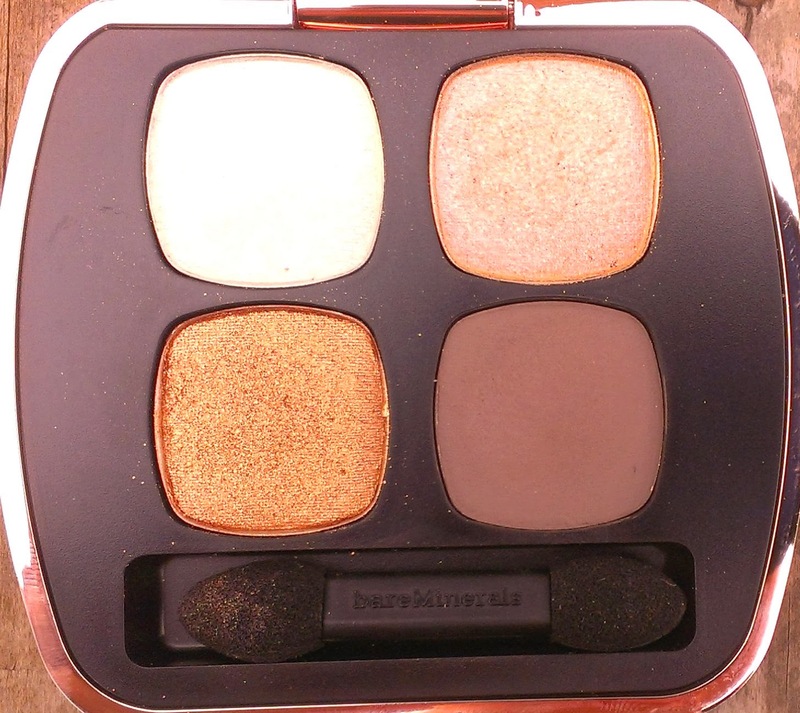 I've gone on and on before about how fabulous bareMinerals' Ready Eyeshadow formula is -- they are some of the best shadows I own, no joke -- and the shadows in the True Romantic quad are no exception. Louder is the real standout -- it is richly pigmented, easy to blend and has good lasting power. 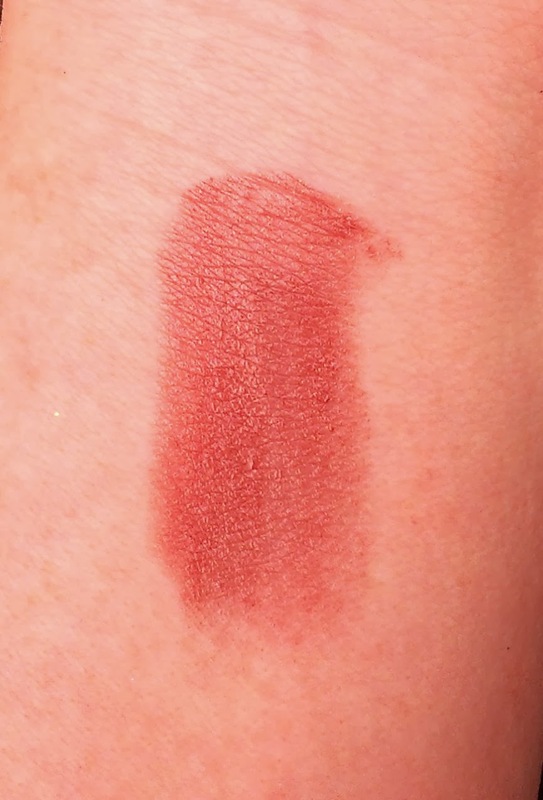 Woo Is Me is also very pretty -- it can be a little chunky and may not look very impressive in swatches, but somehow, it shows up much better on the eye, even on my super pale skin. If there's a weak link, it's Love It, which is pretty sheer. But even that seems to work because it's meant to be a highlight shade and I don't particularly like pale highlight shades that are super opaque because they look really stark and unnatural. What I think is interesting about this quad is that when I traditionally think of "romantic" makeup looks, pink shades come to mind. 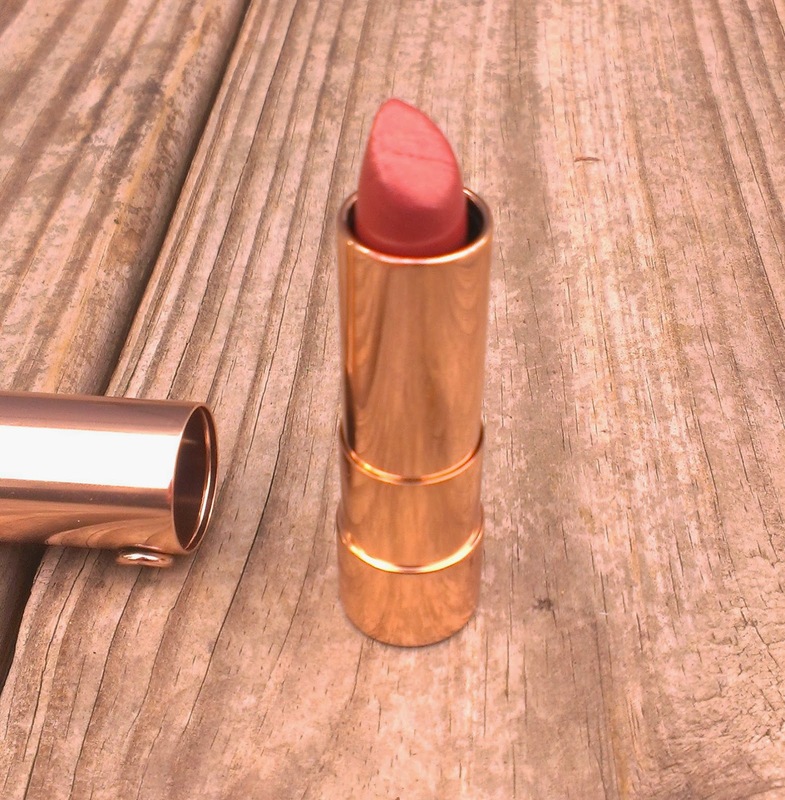 bareMinerals doesn't go that familiar route, instead going for soft peachy/coppery shades. While it may not be the most classic "romantic" look, the quad does create a really soft, pretty eye look that I think would be lovely for Valentine's Day, date night, or any time that you're trying to up the romance factor. And you know me -- I love all makeup things peachy and coppery so I am kind of in love. 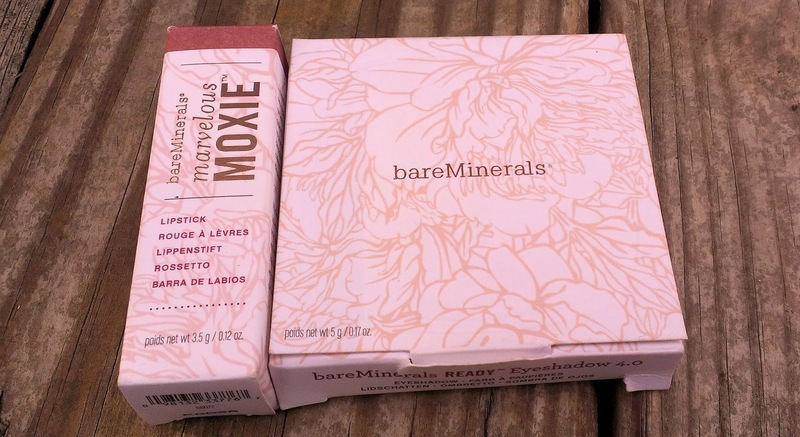 Like the Ready Eyeshadows, bareMinerals has a definite hit with the Marvelous Moxie Lipstick formula. I have several of them, and they're all highly pigmented, creamy and non-drying. Feel The Love is exactly the same -- it is a lovely mid-tone caramel rose shade. It's darker than most of the shades that I wear on a daily basis, but not so dark that it looks too harsh on my fair skin. 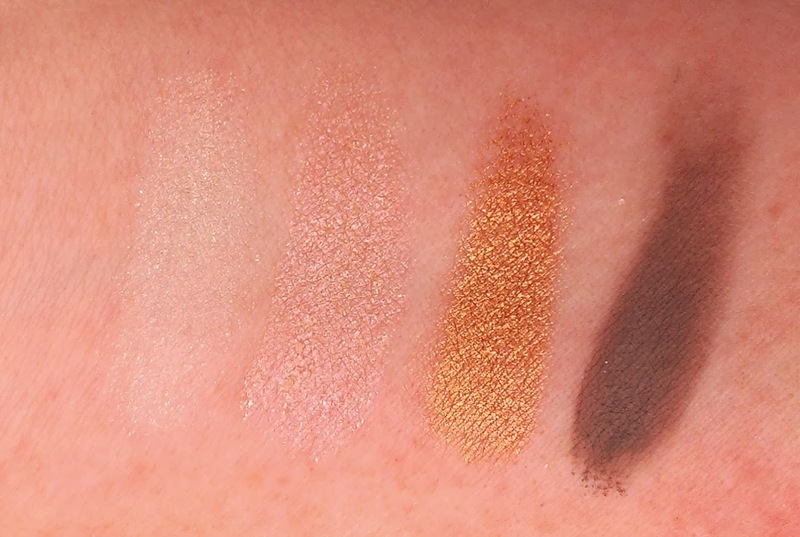 I think it's an ideal complement to the eye shadow quad, and I've worn them together quite a bit. 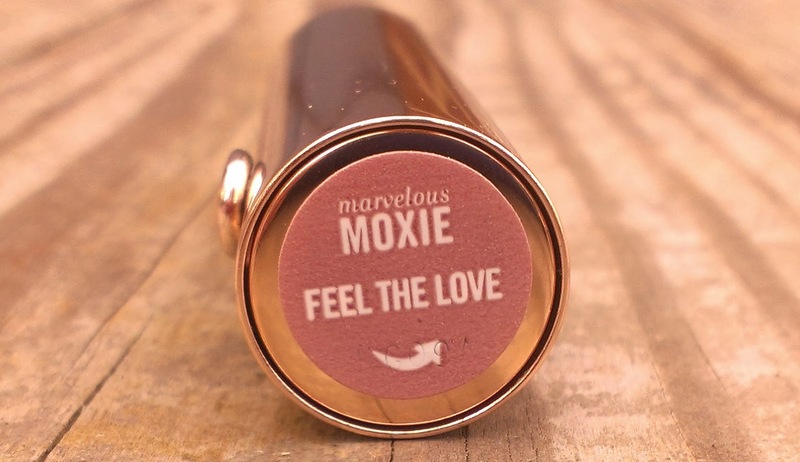 You can purchase the Ready Eyeshadow 4.0 in The True Romantic ($30) and the Marvelous Moxie Lipstick in Feel the Love ($18) separately, along with the other items in the collection at Ulta. If you're interested in purchasing multiple products, though, you can get a better deal at QVC.com. You can get a three piece set that features the Ready Eyeshadow 4.0, the loose blush, and an eyeliner for $32.74 (plus $4.47 s/h), which is a great value considering the quad goes for $30 by itself. If you're interested in the lipstick, you can get it in a two piece set with the gloss from the collection for $23.46 (plust $4.47 s/h). I'm enjoying this products very much, though I don't see them as must-haves for most people. If you're in the market for some soft, wearable colors for spring, though, you should definitely check out this collection. 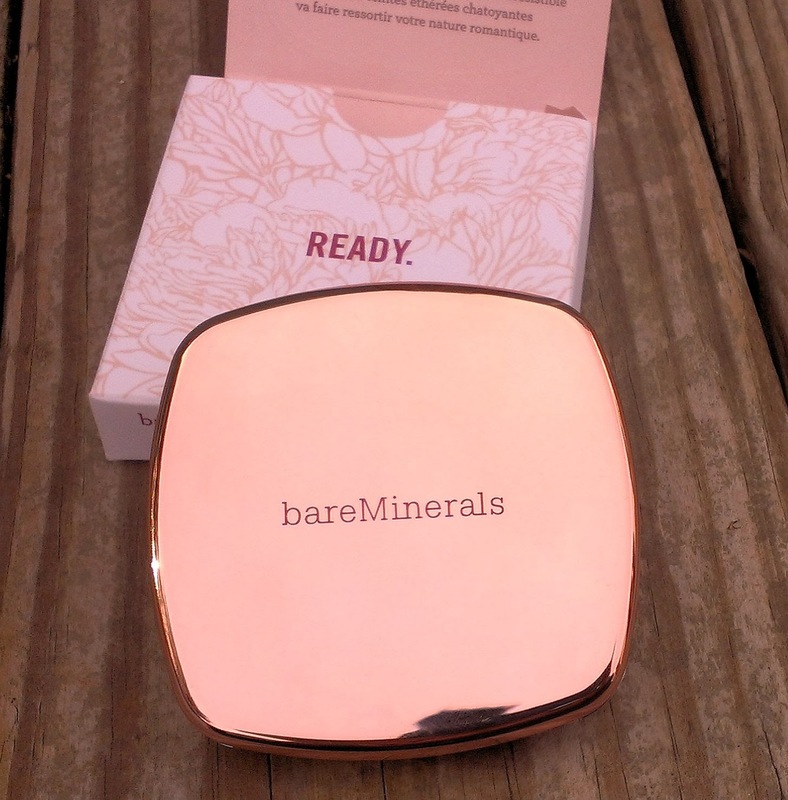 Are you interested in the bareMinerals True Romantic Trend Collection? Which items are catching your eye? Some really nice stuff you picked up there! Love how the colours in the quad are so rich and pigmented. The packaging ist also lovely: clean and chic.